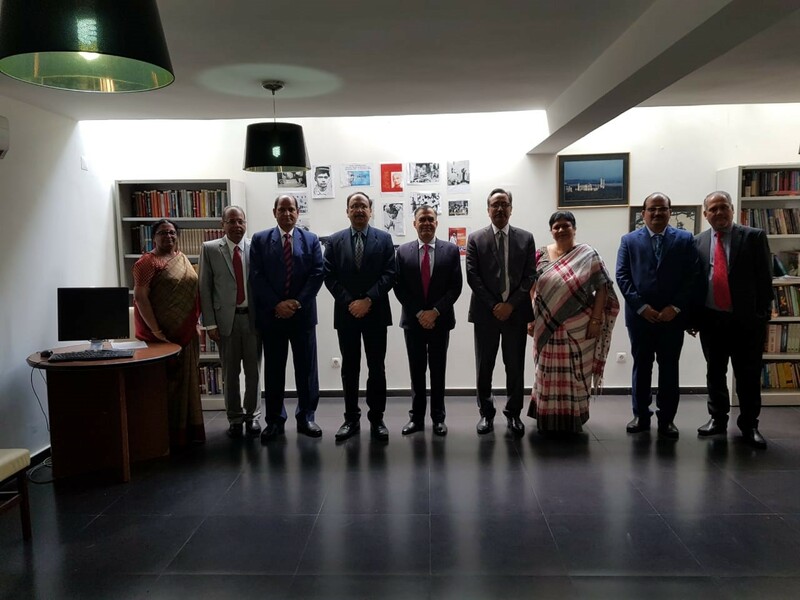 At the invitation of Chairman of Development Bank of Angola through Indian Embassy, a high level delegation has visited Angola comprising of Dr Harsh Kumar Bhanwala, Chairman, NABARD; Shri Naresh Gupta, MD, NABCONS; Shri A K Singh, CGM, Uttar Pradesh RO, NABARD; Dr D Ravindra, GM, CPD, Head Office, NABARD; Smt Vijaya Laxmi, GM, Chennai RO, NABARD, Smt Vijaya Vedula, DGM, NABCONS and Shri B K Tripathy, DGM, NABCONS. 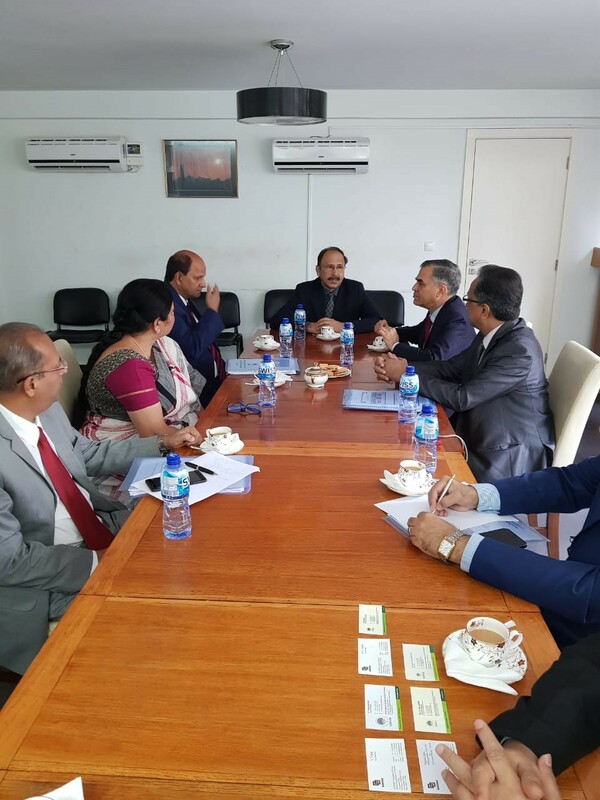 On 19 November 2018, the delegation first called on Indian Ambassador to Angola Shri Srikumar Menon and apprised him of objectives of the visit. The Ambassador shared the interest of present Government of Angola for Agriculture and Rural development in the country through Development Bank of Angola. Chairman outlined possible cooperation through our subsidiary NABCONS and through EXIM bank. Subsequently, the delegation had a meeting with the Chairman & CEO and other officials of Development Bank of Angola (DBA). The officials of the BDA made detailed presentation on KS46 programme which comprises of 3 projects in Waku-Kungo municipality and 3 projects of Quibala municipality and the Land of the Future Project (PTF). 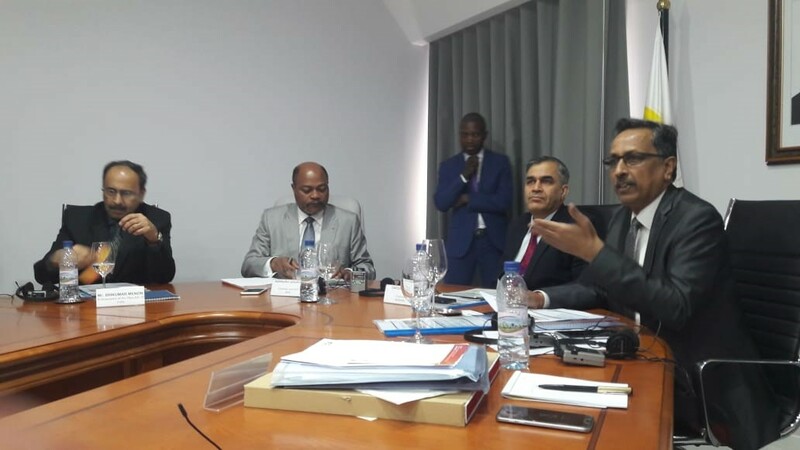 In the afternoon, another meeting was held in BDA office, where in Indian Ambassador and key government officials from Finance, Agriculture and Industries departments of Angola participated. The meeting started with a brief speech from Chairman, NABARD highlighting various functions and activities of NABARD followed by a presentation on NABARD Genesis, mandate, functional areas, highlights of achievements etc. Thereafter, a detailed presentation on NABCONS was made. The Government officials present were keen to know whether NABARD can lend for their agricultural and rural development programmes. Chairman clarified that NABARD can’t directly fund the development projects of other countries but can extend technical and financial support to EXIM bank if it could fund their projects. Further, it was informed that NABCONS, a subsidiary of NABARD can help the Government of Angola in designing the developmental plans and monitoring of the implementation of such development projects apart from undertaking evaluation of the same. Chairman and Dr D Ravindra left for Kenya visit in the afternoon of 20 November 2018. 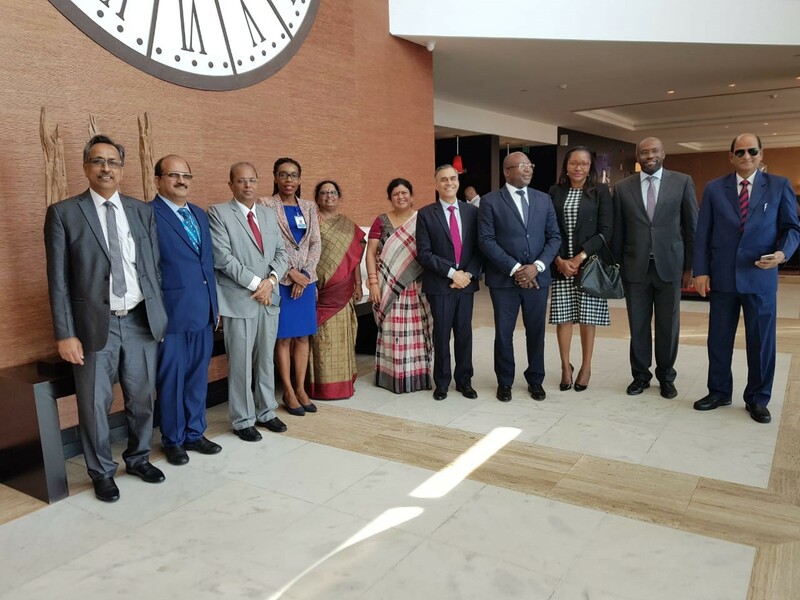 Shri S K Dora, GM, FSPD, HO, NABARD joined the delegation to Kenya at Nairobi. 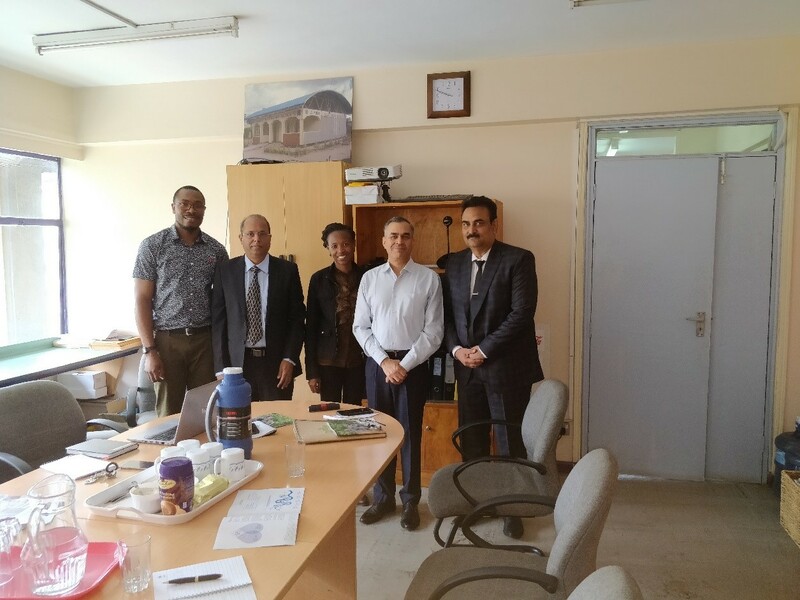 On 21 November 2018, delegation led by Chairman had a meeting with GIZ team responsible for implementing the International Water Stewardship Programme (IWaSP). Ms Sophia Kamau and Mr Johnstone Mainya represented the GIZ. NABARD team explained various projects implemented for sustainable agriculture and rural development. GIZ team shared the information on various components of IWaSP viz., Imarisha Naivasha Water Stewardship, KEWASNET, Kenya Industrial Water Alliance, Southwest Mau Water Stewardship Partnership, Turkwel Water Stewardship Programme, WRUA Good Governance Partnership, Nyamindi Hydropower Initiative. The discussions back-strapped by field learnings also. 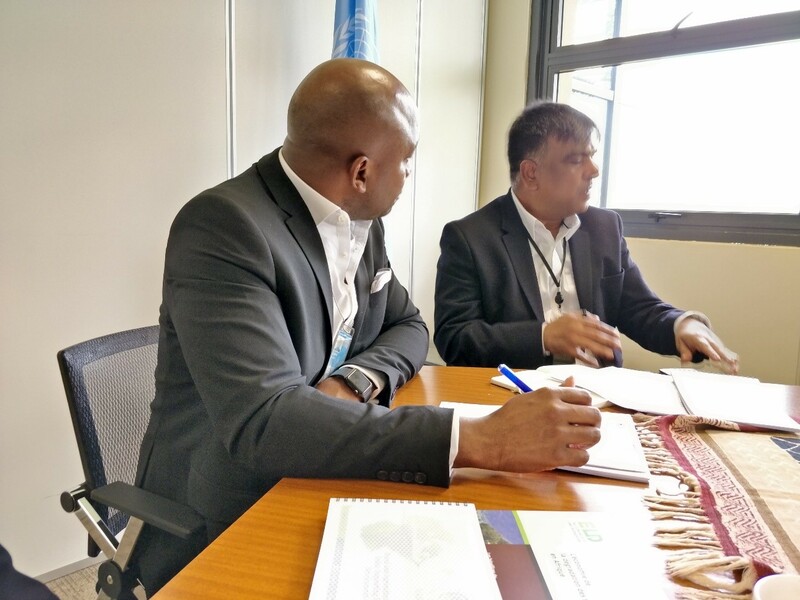 The delegation had meeting on 22 November 2018 in the forenoon with UNEP team comprising Ms Joyce Msuya, Deputy Executive Director; Mr Maxwell Gomera, Head, Biodiversity and Ecosystem Services Branch, Mr Jian Lui, Head Science Division, Mr. Pushpam Kumar, Senior Environment Economist, Ecosystem Division. Chairman highlighted the various initiatives of NABARD for sustainable development of Agriculture and Rural development. The team spelt out various activities initiated under climate change and sought collaborative efforts for training and capacity building under Climate Change Finance, sourcing of Green Finance, knowledge sharing on climate technologies through climate technology centre, evolving Policy frame work for Green Financing and its monitoring and evaluation. UNEP team while appreciating sought our help for evolving financial framework for rejuvenation / development of degraded lands. On 20 November 2018, before noon, strategy was devised for field visits and the team comprising Shri Naresh Gupta, Shri A K Singh, Smt Vijaya Laxmi, Smt Vijaya Vedula, and Shri B K Tripathy along with BDA officials proceeded for field learnings of the KS46 and PTF projects. After completion of the field visit, the team made a presentation on field learnings to the officials of Development Bank of Angola on 23 November, 2018 highlighting the present status of development under both the programmes and the need for further in depth study for addressing the field level deficiencies. The delegation also had a meeting with senior officials of the Agriculture Ministry, Govt. of Angola and highlighted the need for integrated farming, crop diversification, formulation of area development schemes, priority sector lending, development of rural infrastructure, storage, marketing, processing facilities, extension services etc., for the holistic development of Agriculture and rural area in the country. The team also requested the officials of BDA and the Agriculture Ministry to consider deputation of a team of officials for an exposure visit of agriculture and rural development projects in India. 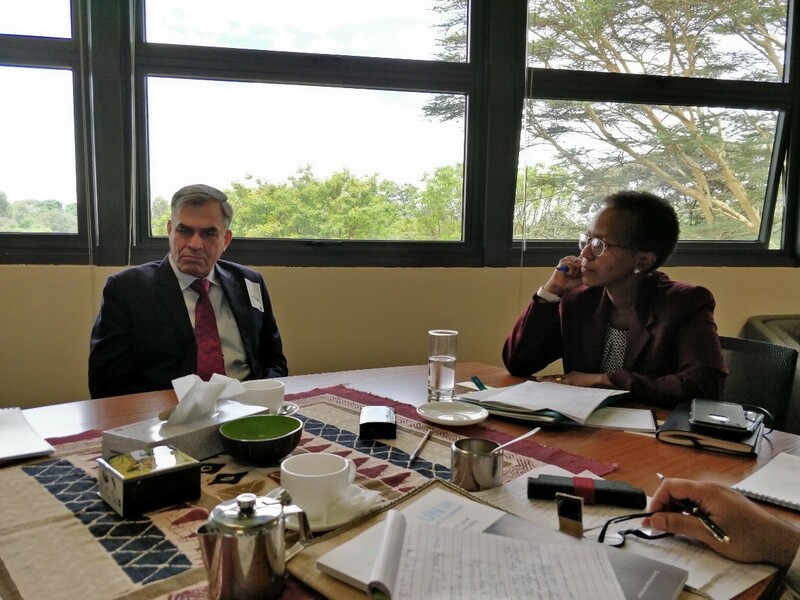 This was followed by a debriefing meeting with the Indian Ambassador at the Embassy of India.